Where to Buy Birdscare Flash Tape, Birdscare Flash Tape 7/16“ x 290 ft Single Roll Bird Repellent - $9.50 for Sale with Fast Free Shipping! 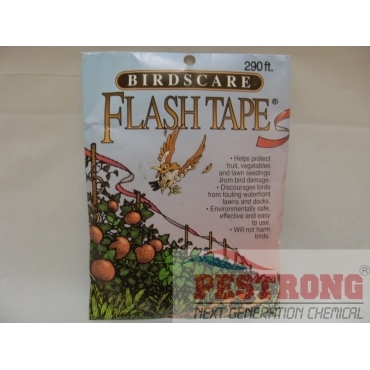 Birdscare Flash Tape 7/16" x 290 ft Single Roll Bird Repellent is recyclable silver and red metalized polyrthylene plastic tape works by reflecting sunlight. 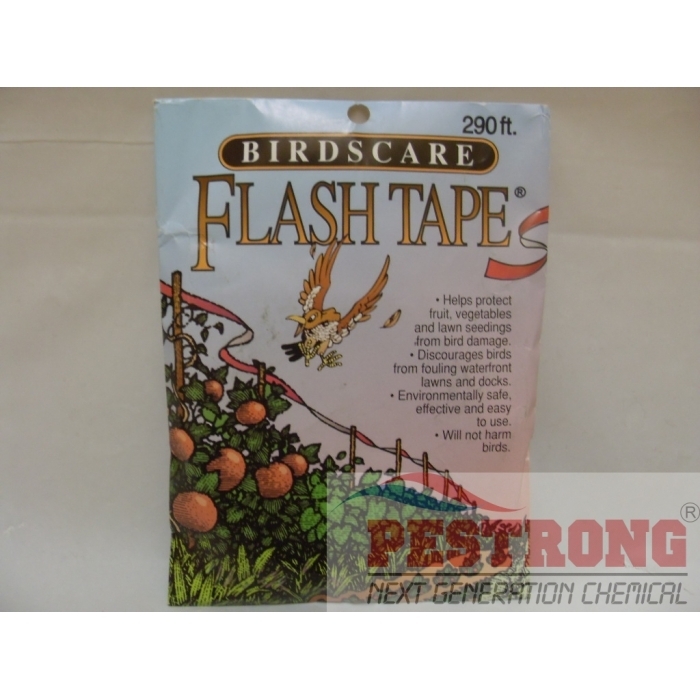 Lawn Weed Killer with Trimec Herbicide - Qt..
Birdscare Flash Tape used for repellent bird, pigeon, dove, sparrow, gulls, geese, woodpecker etc. Birdscare Flash Tape works by reflecting sunlight. When applied in a spiral, any wind movement causes the alternating red and silver sides to flash brilliantly. This seems to signal danger to the birds, who may associate it with fire. Proven effective in a wide variety of crop and garden applications. Can be stretched over a crop, secured every 30 - 40 ft or 2 ft. long bunches of streamers can be hung from outer branches of trees. Also can be used to keep ducks, geese and gulls off waterfront lawns and docks. Awesome product! It does not hurt bird, just repelled them. Eco-friendly product. It works for dove. There are many solution for bird repellent, but this will cost effective solution. even use repeatedly.